Recto: a study of the head of a young woman. Verso: another female head study. Many of Michelangelo’s drawings were intended as independent works of art, but he could also bring a high degree of finish to his preparatory studies. 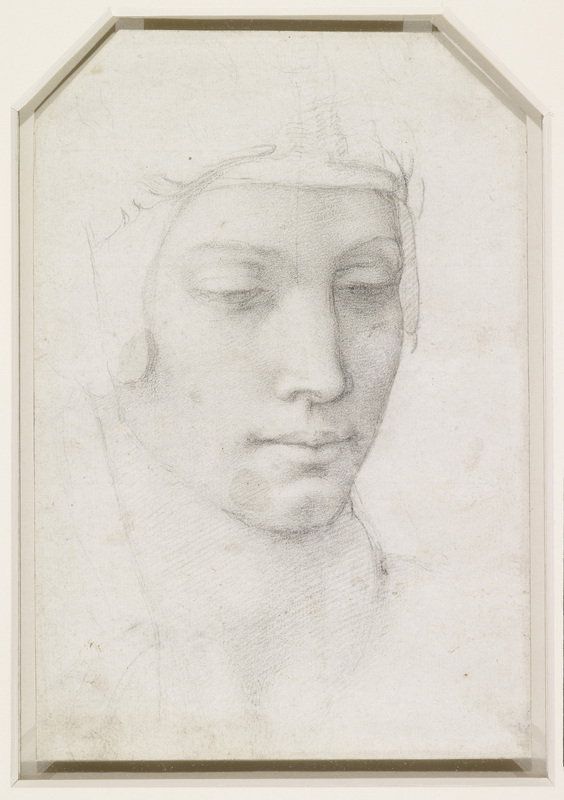 This elegant head was, perhaps surprisingly, drawn as a study for a (never executed) painting of the Virgin and Child.